Evolving technology is changing how energy is generated and distributed through the electric grid to homes and businesses. These changes have brought new challenges and opportunities to electric co-ops working to keep pace with the evolving landscape. 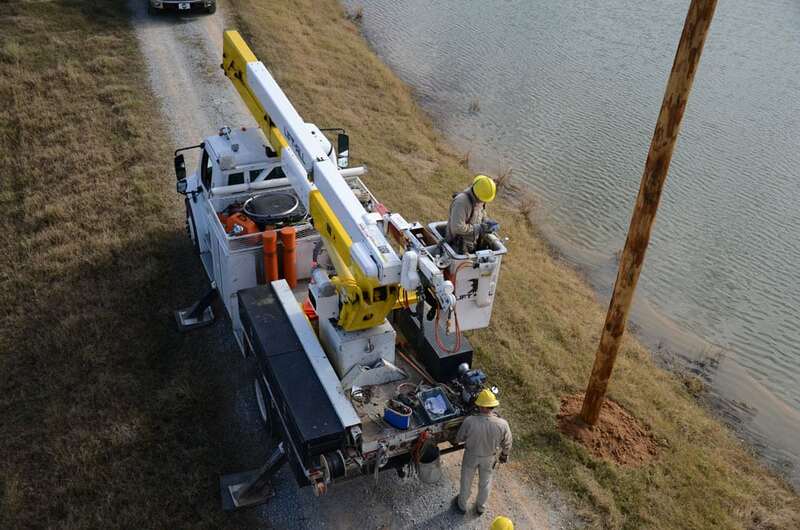 Within the electric cooperative workforce, new skills and experience are needed to help co-ops meet shifting market and consumer demands. This is why electric co-ops are recruiting fresh talent to help us provide even greater value to our members. Co-ops are owned by the people we serve. This subtle fact impacts everything that happens at the cooperative. People – the consumers we serve – always come before profits, and our employees are serious about the responsibility that we have to provide power to our communities. The work that we do not only makes life more comfortable and convenient, but we also make the hospitals operate, the factories run and the cell phones, computers and other technology that we rely on each day function. Our employees power everyday life for our region. It is a serious – and sometimes hazardous – job that is incredibly rewarding and full of opportunity. There is a broad range of highly-trained professionals working behind the scenes at your local co-op. Lineworkers are the most visible and identifiable employees of the co-op, but their responsibilities go far beyond climbing poles and repairing lines. They can also pinpoint an outage from miles away and restore power remotely. Experts in information technology are increasingly important to safeguard the grid and protect data and other sensitive cyber assets. Engineers provide ongoing expertise and guidance on the operations side of the utility, particularly as system upgrades and more renewable energy choices become available. Professionals in business administration, communication and digital media help co-ops deliver messages through multiple platforms and keep members informed of critical information in today’s 24/7 media environment. Electric co-ops are looking for people with technical skills who also understand our mission to serve our communities and members. Simply put, we believe co-ops build a better world, and we are looking for talented people to join us. Contact your local co-op to learn more about a career that is close to home, but far from ordinary.